How do I Record Payments for Invoices Sent? When you receive an invoice payment electronically, it automatically records the payment for you. But, this gives you a backup to perform manually as well. Navigate to the Invoices App, and view the invoice that you have been paid for. In the upper right corner, there is a button for “Record Payment”. Click on “By Status”, and select “Sent" at the left navigation panel. 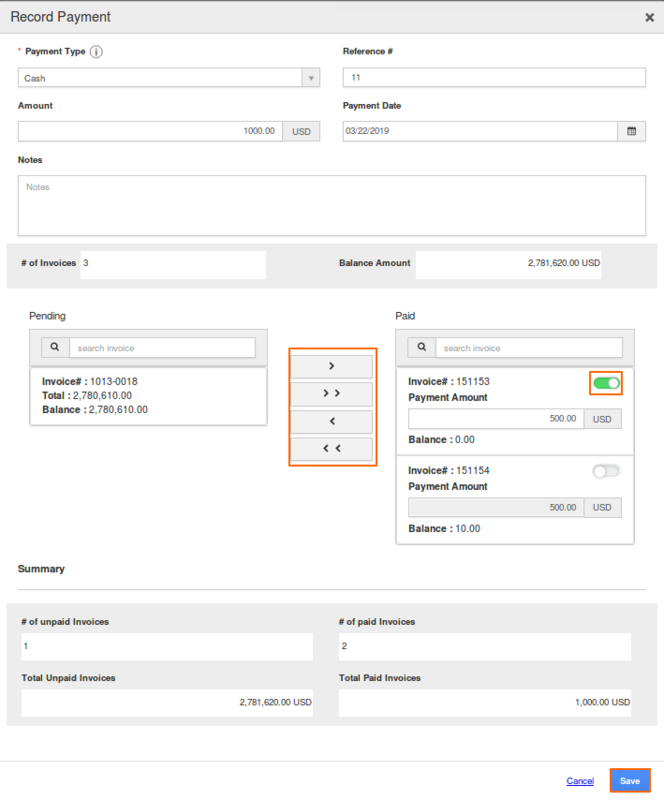 Choose any of the invoices and click on "Record Payment" button next to Bulk action.